Washington, DC–The Endocrine Society today issued a Clinical Practice Guideline calling on physicians to ramp up screening for primary aldosteronism, a common cause of high blood pressure. People with primary aldosteronism face a higher risk of developing cardiovascular disease and dying from it than other people with high blood pressure. As many as one in ten people with high blood pressure may have primary aldosteronism. Uncontrolled high blood pressure can put these individuals at risk for stroke, heart attack, heart failure or kidney failure. The guideline, entitled “The Management of Primary Aldosteronism: Case Detection, Diagnosis, and Treatment: An Endocrine Society Clinical Practice Guideline,” was published online and will appear in the May 2016 print issue of The Journal of Clinical Endocrinology & Metabolism (JCEM), a publication of the Endocrine Society. The guideline updates recommendations from the Society’s 2008 guideline on primary aldosteronism. Primary aldosteronism occurs when the adrenal glands — the small glands located on the top of each kidney – produce too much of the hormone aldosterone. This causes aldosterone, which helps balance levels of sodium and potassium, to build up in the body. The resulting excess sodium can lead to a rise in blood pressure. All hypertensive first-degree relatives of patients with primary aldosteronism. The plasma aldosterone-to-renin ratio (ARR) test should be used to screen for primary aldosteronism. All patients diagnosed with primary aldosteronism should undergo a CT scan of the adrenal glands to screen for a rare cancer called adrenocortical carcinoma. When patients choose to treat the condition by having one adrenal gland surgically removed, an experienced radiologist should take blood samples from each adrenal vein and have them analyzed. This procedure, called adrenal vein sampling, is the gold standard for determining whether one or both adrenal glands is producing excess aldosterone. For people with primary aldosteronism caused by overactivity in one adrenal gland, the recommended course of treatment is minimally invasive surgery to remove that adrenal gland. For patients who are unable or unwilling to have surgery, medical treatment including a mineralocorticoid receptor (MR) agonist is the preferred treatment option. The Hormone Health Network offers resources on primary aldosteronism athttp://www.hormone.org/questions-and-answers/2012/primary-aldosteronism. Other members of the Endocrine Society task force that developed this guideline include: Robert M. Carey, of the University of Virginia Health System in Charlottesville, VA; Franco Mantero of the University of Padova in Padua, Italy; M. Hassan Murad of the Mayo Clinic in Rochester, MN; Martin Reincke of the Klinikum of the Ludwig-Maximilians-University of Munich in München, Bavaria, Germany; Hirotaka Shibata of Oita University in Oita, Japan; Michael Stowasser of the University of Queensland in Brisbane, Australia; and William F. Young, Jr. of the Mayo Clinic in Rochester, MN. The Society established the Clinical Practice Guideline Program to provide endocrinologists and other clinicians with evidence-based recommendations in the diagnosis and treatment of endocrine-related conditions. Each guideline is created by a task force of topic-related experts in the field. Task forces rely on evidence-based reviews of the literature in the development of guideline recommendations. The Endocrine Society does not solicit or accept corporate support for its guidelines. All Clinical Practice Guidelines are supported entirely by Society funds. The Clinical Practice Guideline was co-sponsored by the American Heart Association, the American Association of Endocrine Surgeons, the European Society of Endocrinology, the European Society of Hypertension, the International Association of Endocrine Surgeons, the International Society of Hypertension, the Japan Endocrine Society and The Japanese Society of Hypertension. The guideline was published online at http://press.endocrine.org/doi/10.1210/jc.2015-4061, ahead of print. Ibuprofen is used by many people to relieve pain, lessen swelling and to reduce fever. Though there are many worrying side effects linked to overuse of the drug, a new ibuprofen patch has been developed that can deliver the drug at a consistent dose rate without the side effects linked to the oral form. The patch was developed by researchers at the University of Warwick in the UK, led by research chemist Prof. David Haddleton. 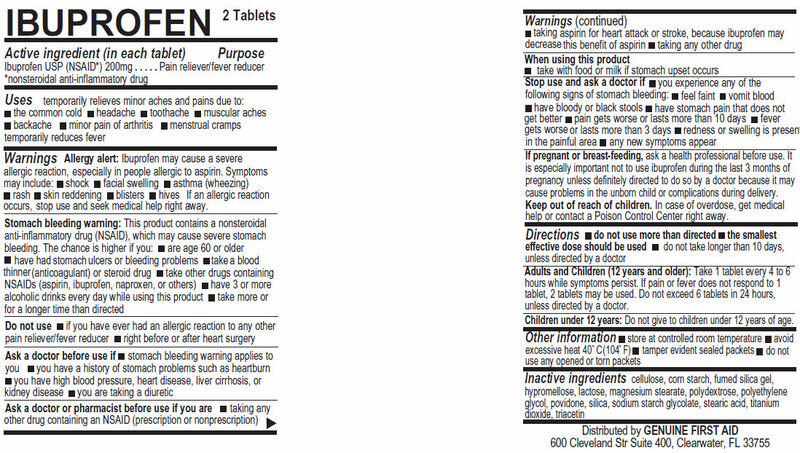 The Food and Drug Administration (FDA) have recently strengthened the warning labels that accompany nonsteroidal anti-inflammatory drugs (NSAIDs) like ibuprofen. New labels warn that such drugs increase the risk of heart attack or stroke, and these events happen without warning, potentially causing death. Furthermore, such risks are higher for people who take NSAIDs for a long time. Ibuprofen can also cause ulcers, bleeding or holes in the stomach or intestine. With these risks in mind, finding an alternative way to relieve pain without the risks is a worthwhile endeavor. Though there are commercial patches on the market designed to soothe pain, this is the first patch that delivers ibuprofen through the skin. 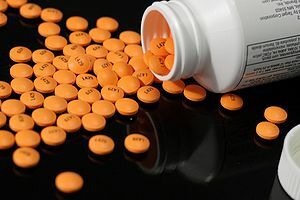 Working with a Warwick spinout company called Medherant, the researchers were able to put significant amounts of ibuprofen into a polymer matrix that adheres the patch to the patient’s skin, enabling the drug to be delivered at a steady rate over a 12-hour period. The researchers say their patch paves the way for other novel long-acting pain relief products that can be used to treat common conditions – such as back pain, neuralgia and arthritis – without taking potentially damaging oral doses of the drug. The team notes that the drug load made possible by their new technology is 5-10 times that of current medical patches and gels. Furthermore, because the patch adheres well to skin, it stays put even when the drug load reaches levels as high as 30% of the weight or volume of the patch. There are currently a number of ibuprofen gels available, but the researchers say it is difficult to control dosage with these gels, and they are not convenient to apply. “Our success in developing this breakthrough patch design isn’t limited to ibuprofen; we have also had great results testing the patch with methyl salicylate (used in liniments, gels and some leading commercial patches). Despite the risks associated with long-term use of NSAIDs, Medical News Today recently reported on a study that suggested use of the drugs could reduce risk of colorectal cancer. via Consumer Updates > FDA Strengthens Warning of Heart Attack and Stroke Risk for Non-Steroidal Anti-Inflammatory Drugs. Each year in the United States, there are more than 795,000 strokes. Stroke is the fourth leading cause of death in the country and causes more serious long-term disabilities than any other disease. Nearly three-quarters of all strokes occur in people over the age of 65 and the risk of having a stroke more than doubles each decade after the age of 55. The National Institutes of Health through the National Institute of Neurological Disorders and Stroke (NINDS) developed the Know Stroke. Know the Signs. Act in Time. campaign to help educate the public about the symptoms of stroke and the importance of getting to the hospital quickly. Read the entire article at NINDS Know Stroke Campaign – Know Stroke Home. Thousands of Americans every year develop an abnormal heart rhythm after having major surgery. These episodes have long been considered a fleeting phenomenon that is generally not a cause for concern. But a large new study suggests that doctors should take these abnormal heart rhythms, known as atrial fibrillation, or A-fib, more seriously. It found that patients who experienced one or more episodes after surgery had a striking increase in their risk of having a future stroke. The findings are likely to encourage doctors to potentially monitor and in some cases treat the patients who experience them. “This is telling us that once you see atrial fibrillation in the hospital, that’s a marker of potential trouble to come,” said Dr. Donald Easton, a clinical professor of neurology at the University of California, San Francisco medical school. Read more at A New Surgery Risk – NYTimes.com. Many times patients and doctors see the same hospital visit through different eyes. Heart Of The Matter: Treating The Disease Instead Of The Person : Shots – Health News : NPR. This brief article will provide information and links to where additional information can be found to help you recognize and hopefully prevent a heart attack or stroke. According to cardiologists, most heart attacks occur in the day, generally between 6 a.m. and noon. If you take an aspirin or a baby aspirin once a day, take it at night. Aspirin has a 24-hour “half-life” therefore, the aspirin would be strongest in your system when most heart attacks happen, in the wee hours of the morning. A 2012 RetiredBrains survey of cardiologists provides the following information on the symptoms, warning signs and treatment for heart attack and stroke. Chest discomfort that feels like pressure, or seems like a squeezing pain in the center of your chest. This pain generally lasts for more than a few minutes, but sometimes goes away and returns. Pain and/or discomfort that extends beyond your chest to other parts of your upper body, such as one or both arms, back, neck, stomach, teeth, and even your jaw; shortness of breath, with or without chest discomfort. Other symptoms include: cold sweats, nausea or vomiting, lightheadedness, indigestion, and fatigue. If you or someone you are with experiences chest discomfort or other heart attack symptoms the first thing you should do is call 9-1-1. Don’t wait to make the call. Don’t drive yourself to the hospital. Don’t drive the person having a heart attack to the hospital. Immediate treatment lessens heart damage and can save your life. Emergency medical services personnel can begin treatment in the ambulance on the way to the hospital and are trained to revive a person if his/her heart stops. Some people delay treatment because they are not sure they are really having a heart attack. Remember call 911 immediately as treatment given within an hour of the first heart attack symptoms saves lives and damage to the heart and substantially increases the chances of survival. 1. Try to keep the person calm, and have them sit or lie down. 3. If the person stops breathing, you or someone else who is qualified should perform CPR immediately. If you don’t know CPR, the 9-1-1 operator can assist you until the EMS personnel arrive. For more information, check out the heart disease section on Mayo Clinic’s site and the warning signs of heart attack, stroke and cardiac arrest, compiled by the American Heart Association. The information contained in this article should not be substituted for the advice of your physician. If you experience any symptoms or are concerned about your health in any way, you should immediately seek the advice of your physician.